and give yourself a shot of positive energy. 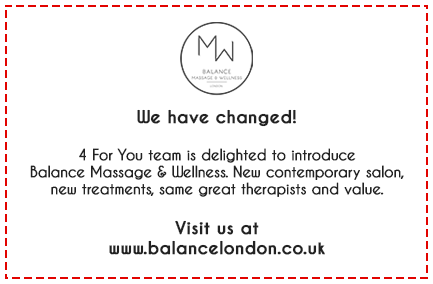 We are dedicating our service to all hardworking Londoners focusing on specific needs of Women, Men and Couples offering exciting choice of treatments, reasonable prices and truly genuine massage service. The Best Massage you've ever had ! Out of the utmost respect for you and your busy schedule we are open 7 days a week till 9pm providing incall and outcall massage service in Central London. Personalised Gift Vouchers from £60 for 60min !